When I was a kid, I lived a couple of years in Singapore. There, at the time, the media was somewhat censored, so your TV viewing options on a Saturday afternoon were limited. Consequently, I have seen the 1981 film Clash of the Titans approximately 60 times. It was on the approved media list, apparently. 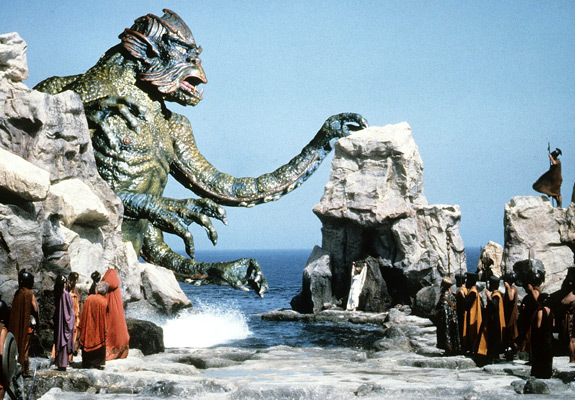 This cinematic masterpiece was produced by Ray Harryhausen, who was known for his special effects techniques well before CGI. 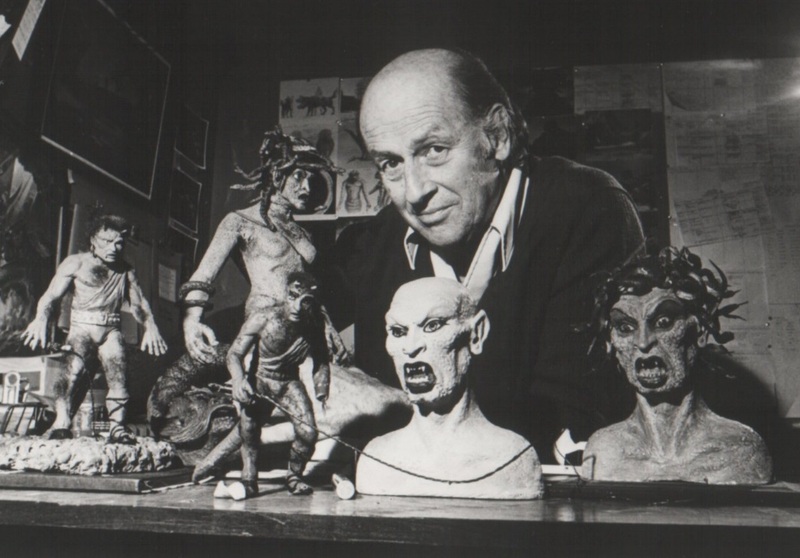 What made his techniques fun was the use of stop-motion animation. This made things that would not have otherwise been possible suddenly within the realm of possibility and gave inspiration to some of today’s most famous directors such as George Lucas, Steven Spielberg, Peter Jackson and Tim Burton. Time’s up! 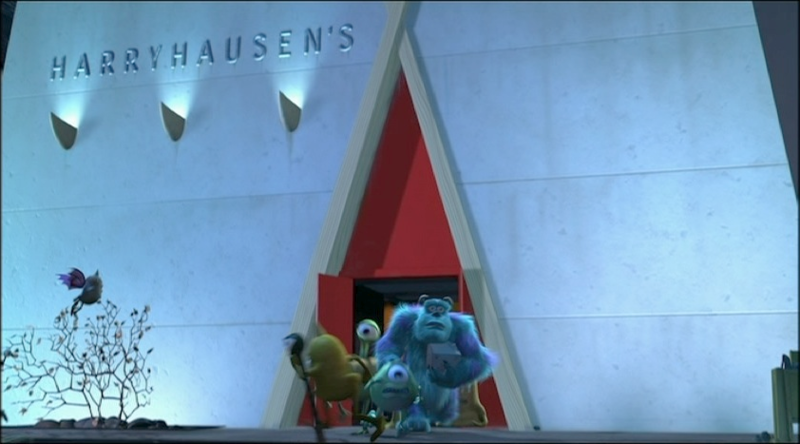 “Harryhausen’s” was the name of the restaurant that Mike and Cecelia were canoodling in before Scully and an uninvited Boo interrupted their dinner. Did you get it right? This summer, we will be introducing a new generation to the wonders of monster movie magic with a new camp called Monster Movie Maker. Campers will spend part of the day discovering the myths surrounding some of our favorite monsters and doing a little myth-busting with some science experiments; they will also learn the art of stop-motion animation as they create some monster movies of their own. Here are two non-monster related stop motion videos I made for practice. Finally, they will spend the last part of the day learning some tips and techniques for monster transformation. 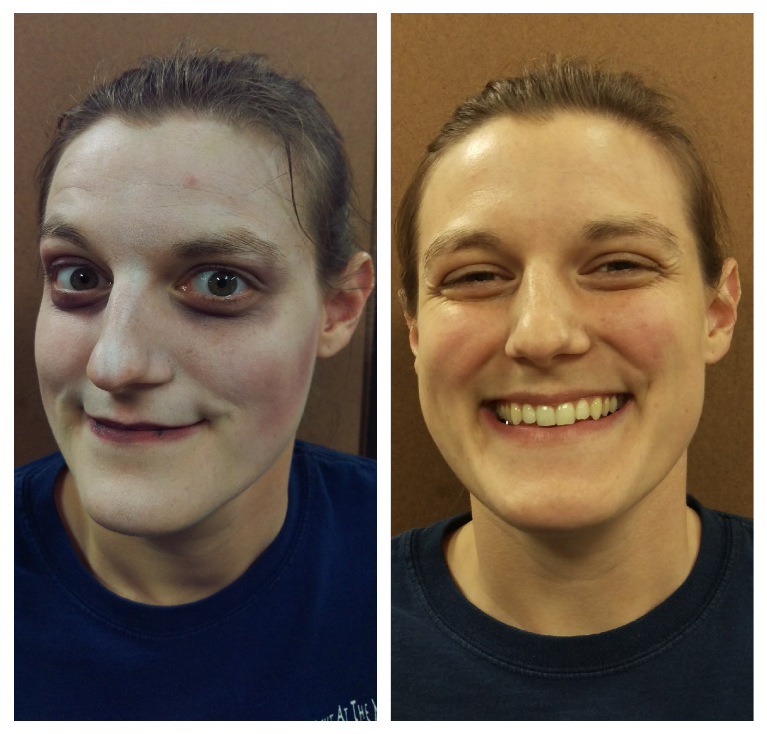 Check out HMNS’s very own Kelsey, who was transformed from a regular gal to a sassy vampire. As the week progresses, so will the transformations. By the end of the week, campers will be working on applying prosthetics as part of their makeup magic. Got a camper between ages 10 and 12, doesn’t have a latex allergy, and wants to come create with us? Click here and sign up for camp! There are only a handful of spots left! Are you a grown-up who is too old for camp, but still wants to come play monster? Check back here in October. We will be posting some tutorials for some of the simpler monsters make-overs. Already a monster but want to up your game? We will be offering some Monster Make-Over Classes for some of the more complex monsters this fall. Look for the September-October Museum News, the blog in September or the e-blasts in October for more information. Next Post Learn Hieroglyphics When You Become a Volunteer Docent at HMNS!